Reports suggest Freuds is receiving millions of pounds to promote junk food while managing the Government's health contract, including its anti-obesity campaign Change4Life. The Daily Mail reported today that Freuds is earning millions of pounds a year working for Mars, KFC and Pepsico - makers of Pepsi and Walkers crisps. Freuds was appointed to anti-obesity campaign Change4Life in 2008 and monthly fees were understood to be around £45,000. The agency won a £1m a year PR account with the Department of Health in 2011, taking control of the department's four major comms programmes - Smokefree/Tobacco Control, Change4Life and Older People and Younger People. In 2013, the DH moved all comms and marketing responsibilities to Public Health England, the NHS Commissioning Board and local government. Last year PRWeek reported that Freuds was fighting to keep hold of the contract following changes to the Government's roster, which barred the agency from pitching directly for the account. Freuds retained its contract at the end of last year by partnering with M&C Saatchi as its sub-contractor. Freuds will deliver the two-year contract, with an option of a one-year renewal. PHE paid £2.73m to Freuds for the ten month period ending August 2014. Sheila Mitchell, director of marketing PHE, said: "PR activity is an important part of our communications strategy in terms of reaching our target audience to help them quit smoking, recognise the early signs and symptoms of cancer and stroke, eat less and undertake more physical activity. The media value for our coverage for the calendar year of 2014 was over £24m." She added: "We consider all approved agencies on their merits, with the exception of those which are employed by the tobacco industry." 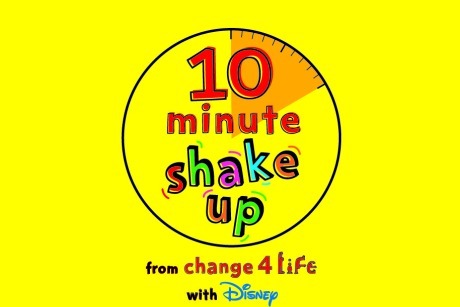 Change4Life recently teamed up with Disney to launch its latest 'ten-minute shake-up' campaign. PRWeek contacted Freuds who declined to comment. Is Freuds' six-figure public health contract facing the end of the line?